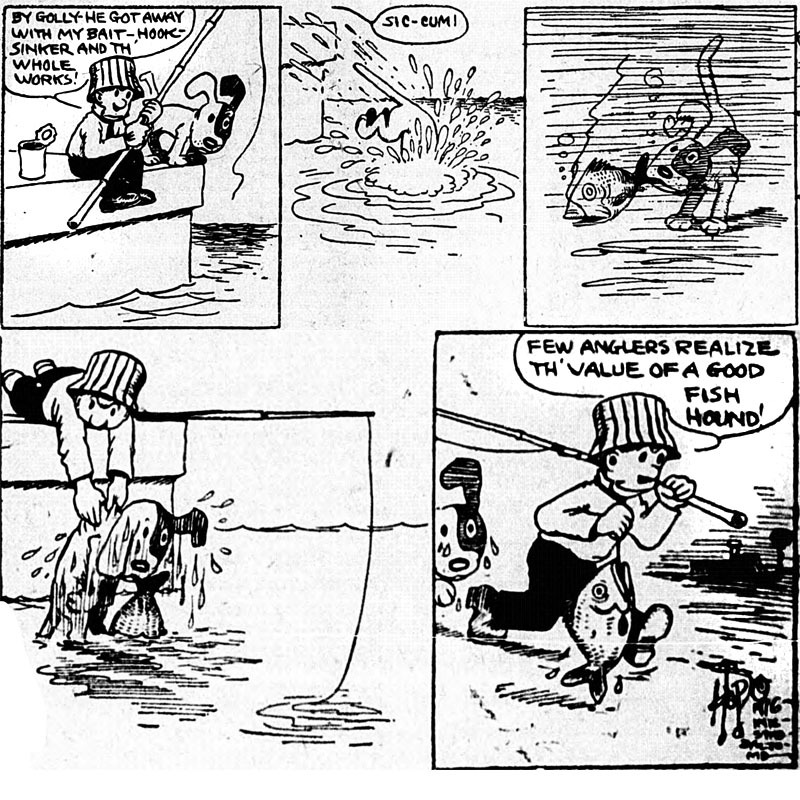 The strip about a newspaper reporter is now all about fishing. Because fishing is hilarious. Possibly because few anglers want to go through the trouble of training a fish hound, because you go through so many pups in the process, and it just takes something out of a man.